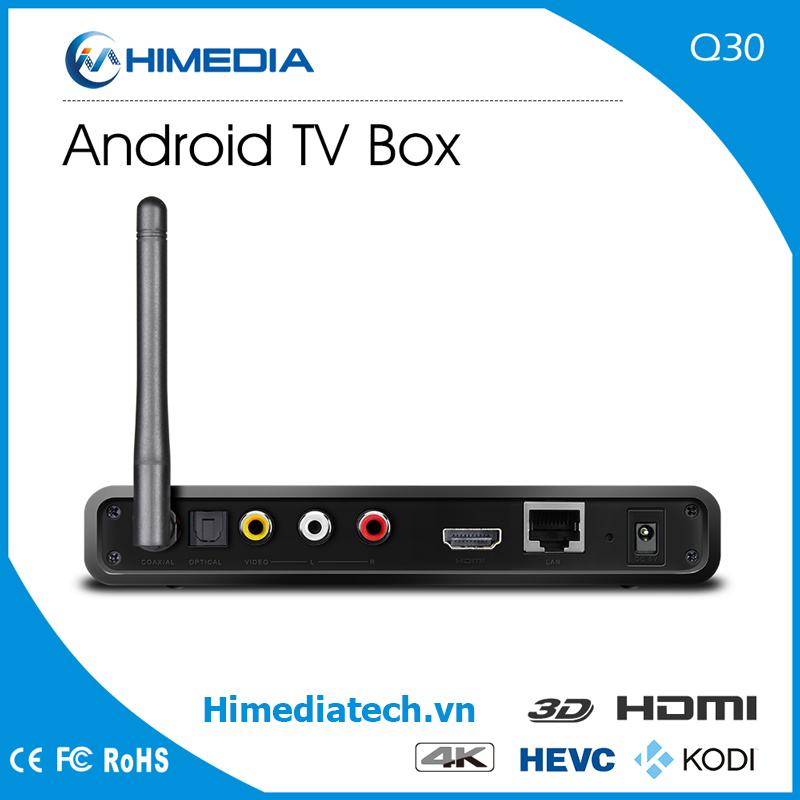 I love Android TV boxes and especially ones that offer added bonuses. This led me to the Q30 from HiMedia, the Q30 is running a HiSilicon Hi3798M, ARM Mali-450, 2GB DDR3 RAM, and 8GB eMMC flash. 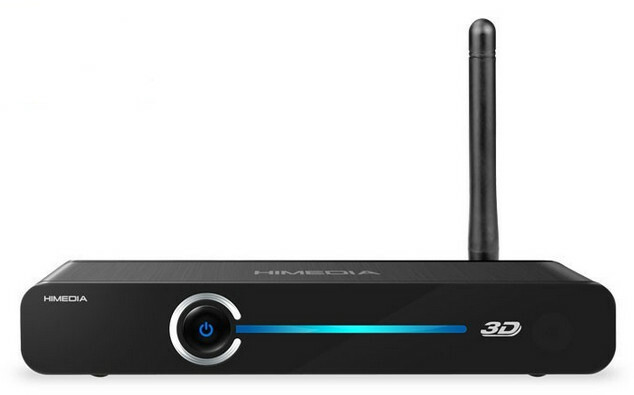 The Q30 offers support for Ultra High-Definition (UHD) 4K video playback right out of the box. This means you can get an incredibly clear picture, better image texture and a lot less pixelated than on regular high-definition signals. The Q30 includes 802.11 b/g/n/ac WiFi with an external antenna, this helps towards maximum network stability. Firmware updates are available Over The Air (OTA), so you don’t need to manually download and install new releases on your own. The Q30 includes 1 USB 3.0 port, 2 USB 2.0 ports, a wired Ethernet port, an optical audio out, HDMI, a USB OTG port, and a TF card slot. The casing of the Q30 is black, with a “scratched” effect running the entirety of the box. There is a digital display on the front which displays the time and boot status. A nice addition was the touch buttons on the front, so even if the remote dies, you can still navigate the menu. The included remote is basic in terms of functionality, it feels good in the hand and works. The buttons have a good solid click to them. It also has that scratched effect running along it, so you know it’s the Q30 remote. The included accessories with the Q10 Pro are the remote, power adapter, antenna, HDMI cable, and power adapter. 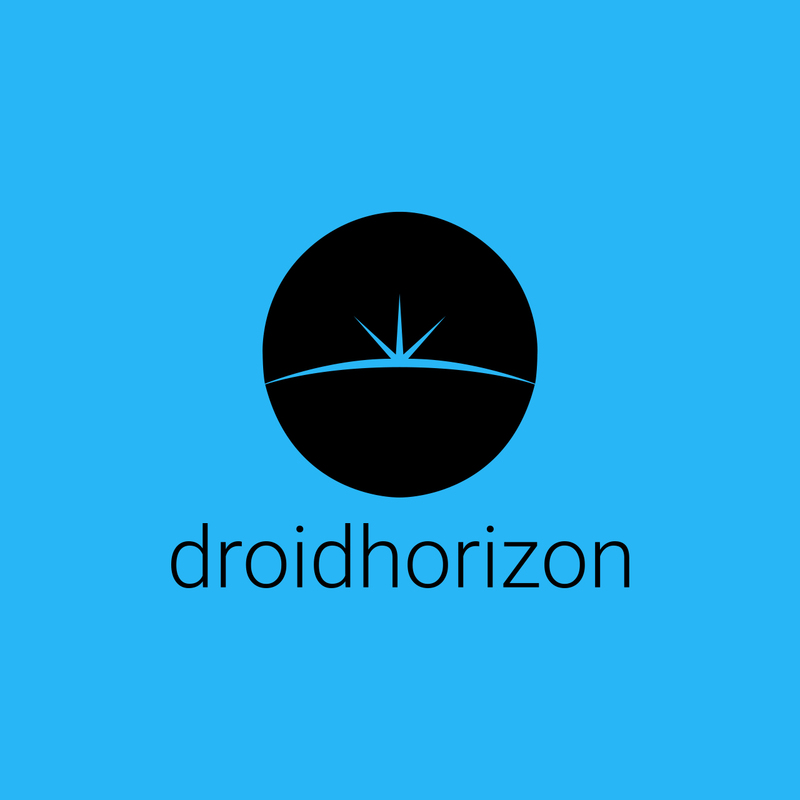 When I first turned on the Q30 , I was greeted with the HiMedia logo, then a classic Metro inspired launcher. 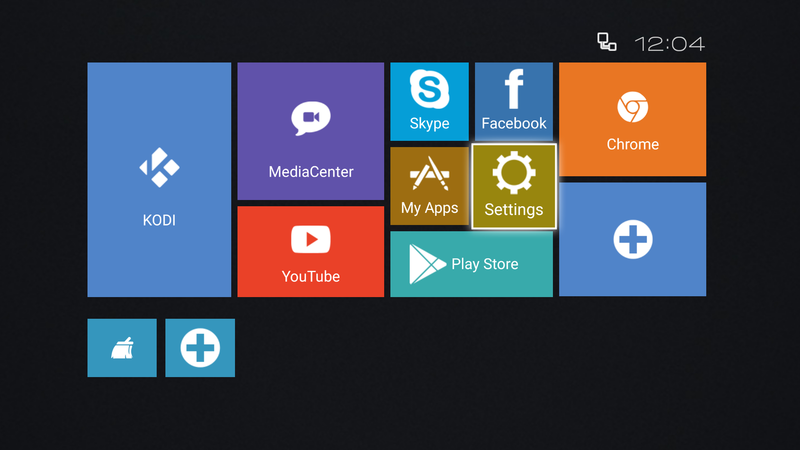 There are included apps like Kodi, skype and chrome browser. The Q30 played avi, mov, mp4 and mkv files perfectly. There was no loss in picture or sound quality. I thought a good test would be to push it to its limit, so I tried to stream a 2.5GB mkv over my network and play it using Kodi. The large file size, along with the network transfer caused some stuttering in the playback. That was the only downside to an otherwise perfect time using this box. Audio played for 5K and 8K, but no video was seen. These tests were all local stored files. Streaming services rendered the same results, apart from on 4K formats as there were some frame stuttering. This is a great looking box. It’s got great performance, where I need it. 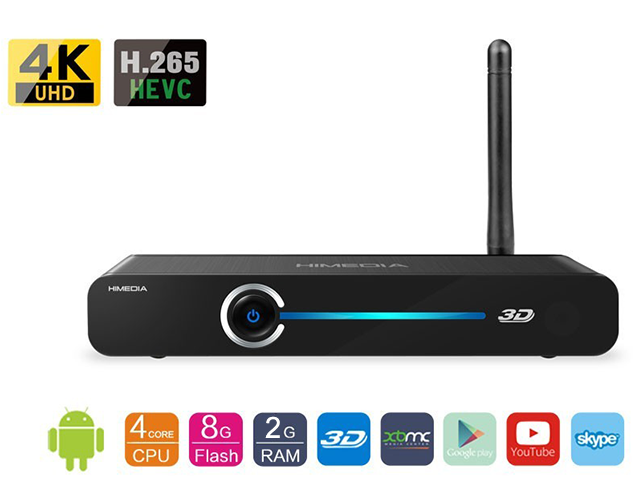 It can play movies and 1080p and 4K resolution.